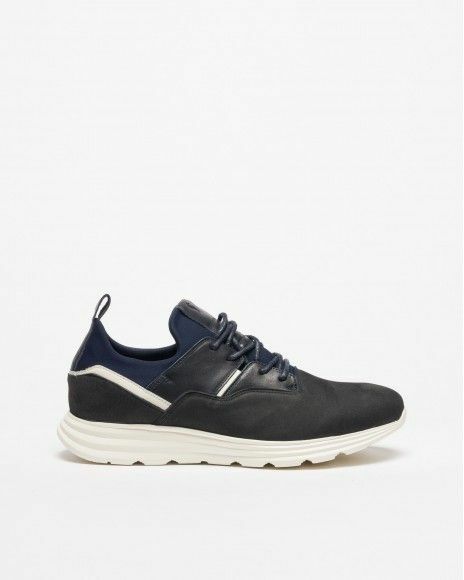 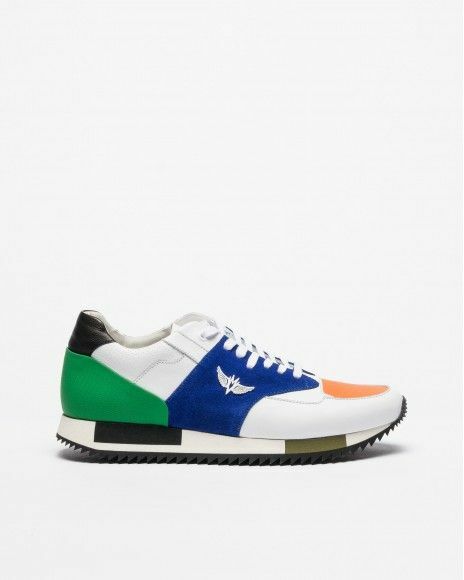 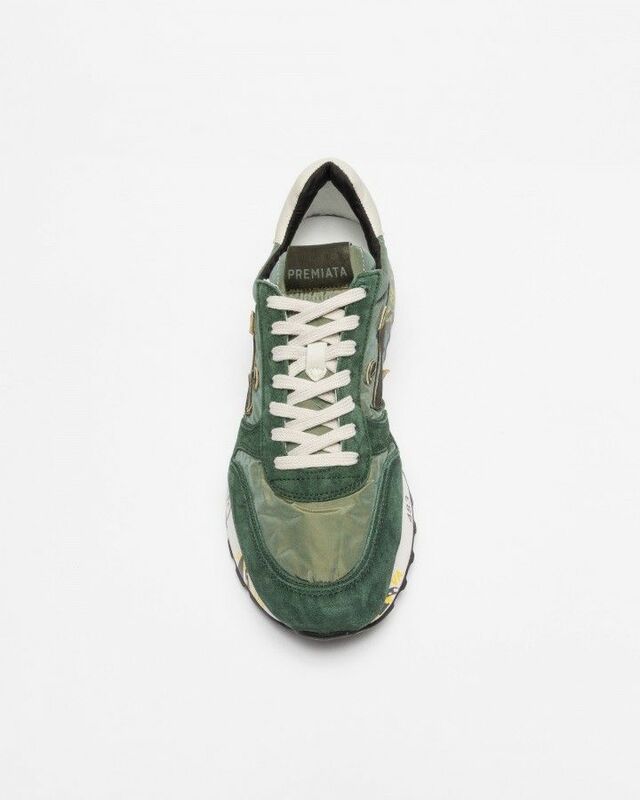 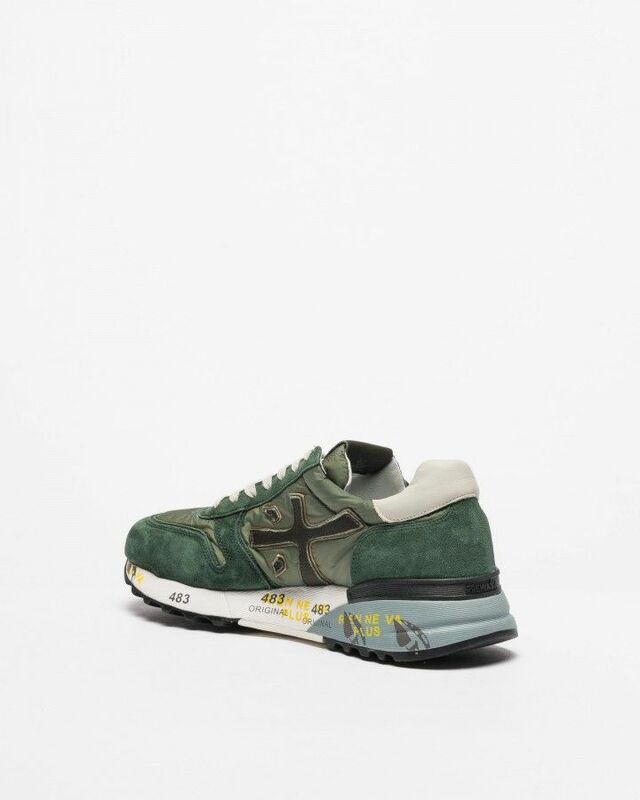 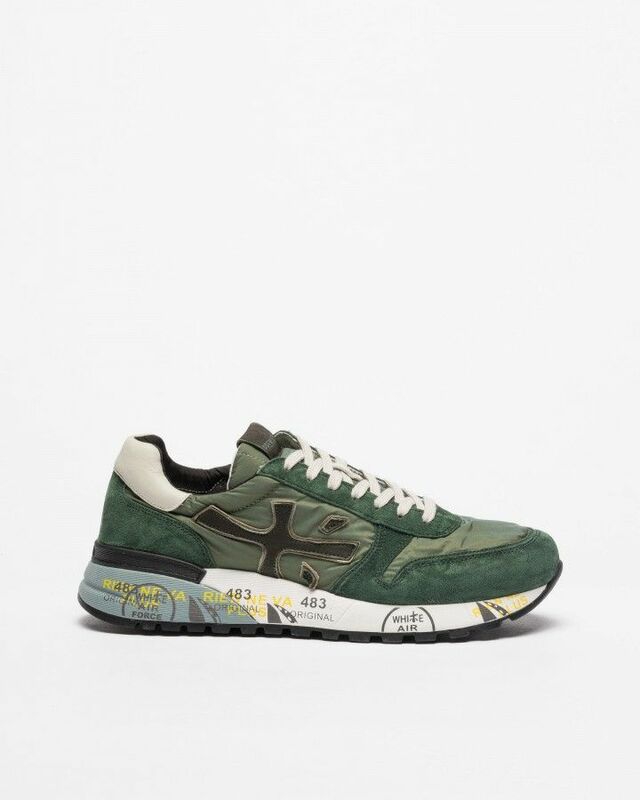 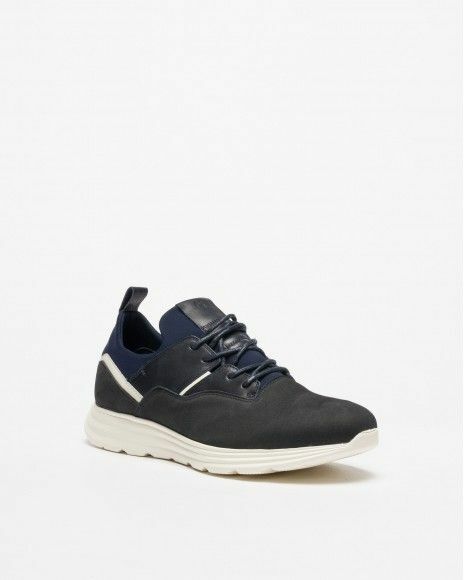 Italian brand Premiata Mick 3252 sneakers for men in kakhi fabric, green suede and white and black leather. 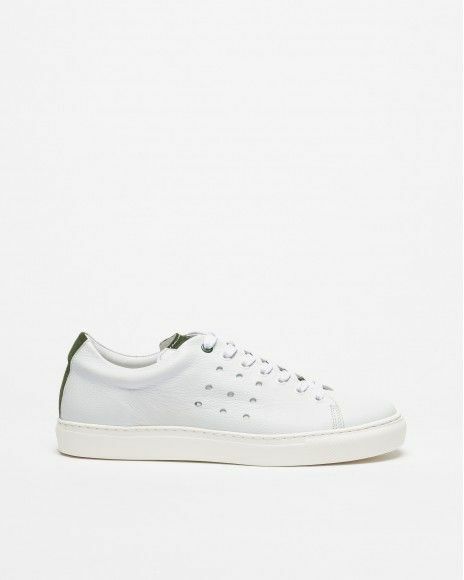 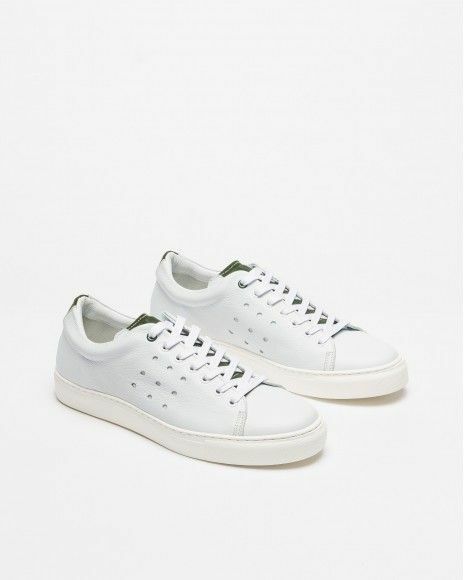 Leather insole and lining. 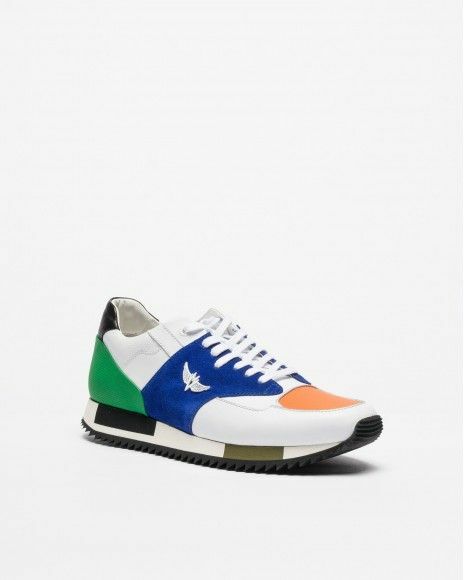 Multicoloured rubber outsole. 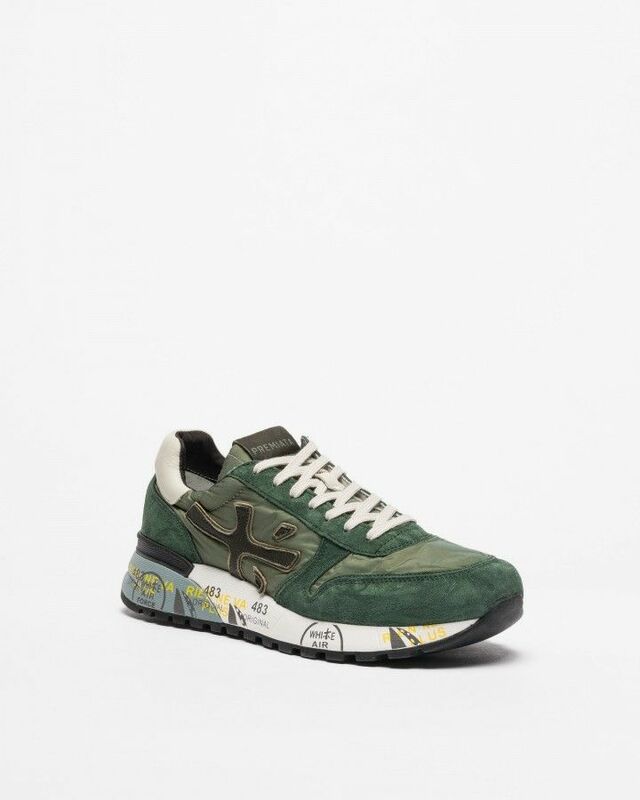 All the materials used in the manufacture of Premiata items are of premium range.